Quebec City, one of the oldest cities in Canada is a stunning city because of its architecture, location and level of historical preservation. This beautiful city reminds us the feelings of European cities in ancient times and it feels like you’ve traveled to France, although you’re still in North America. There are a lot of patisseries, cobblestone streets, and European architecture around every corner. 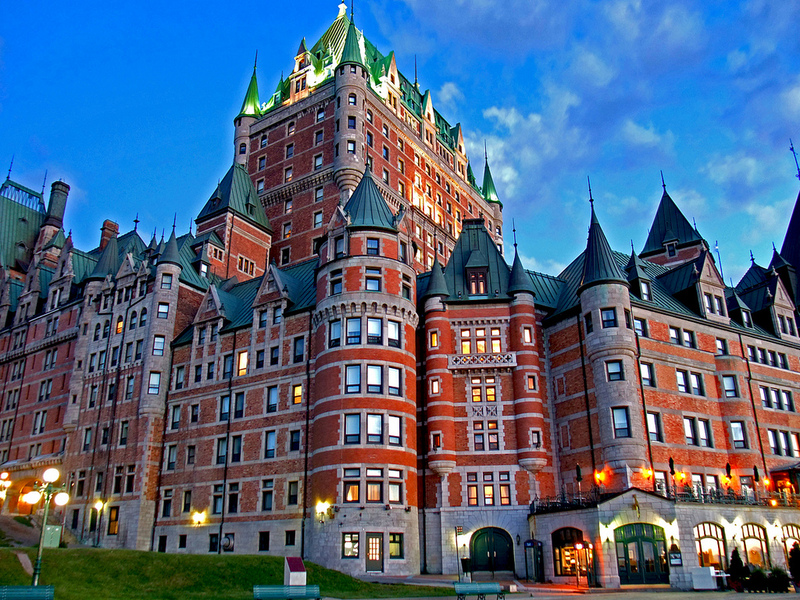 Chateau Frontenac is a historical hotel in Quebec City which designed by Bruce Price in 1893. This hotel is about 80 meter tall, containing 18 floors. The building was designated a National Historic Site of Canada in 1981. 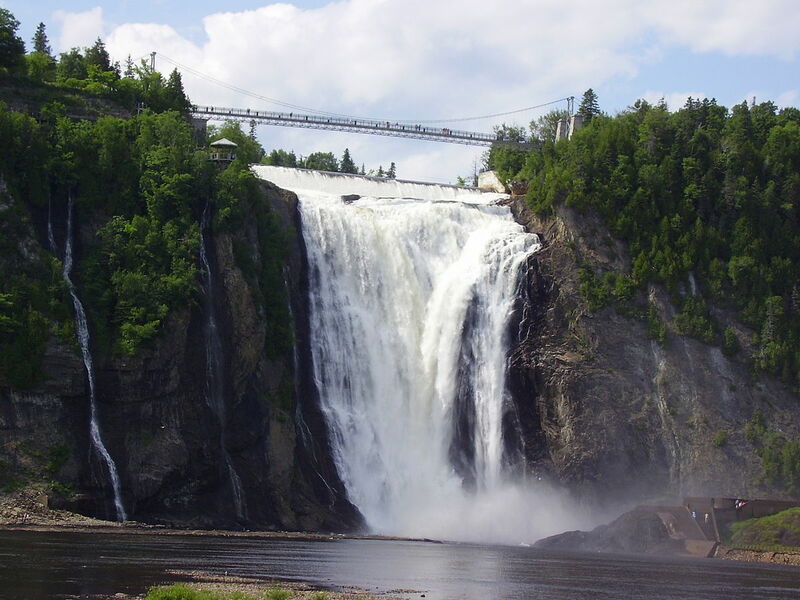 The Montmorency Falls is a large waterfall on the Montmorency River, which is 83 m tall, a full 30 m higher than Niagara Falls. 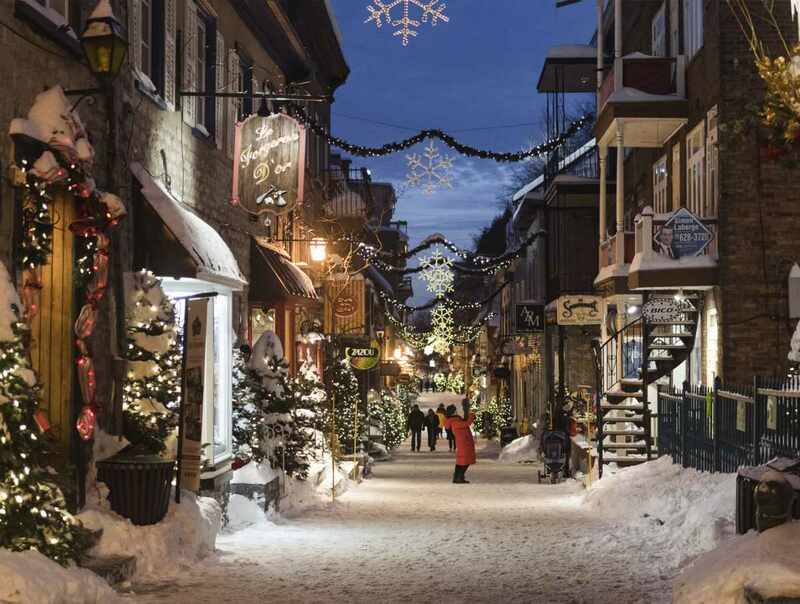 Petit Champlain District is a small business district in the old and historic Québec City. This district is the oldest North American commercial area that is famous for many stores and handicrafts. This beautiful church was built in 1658 in northeastern Quebec City. It has been credited by the Catholic Church with many miracles of curing the sick and disabled. It is an important Catholic sanctuary, which receives about a half-million pilgrims each year. Since 1933 they have included members of the Anna Fusco Pilgrimage from Connecticut, United States of America. The peak period of pilgrimage is around July 26, the feast of Saint Anne, the patron saint of Quebec.